Mixes, serves and stores salad dressing in one container. 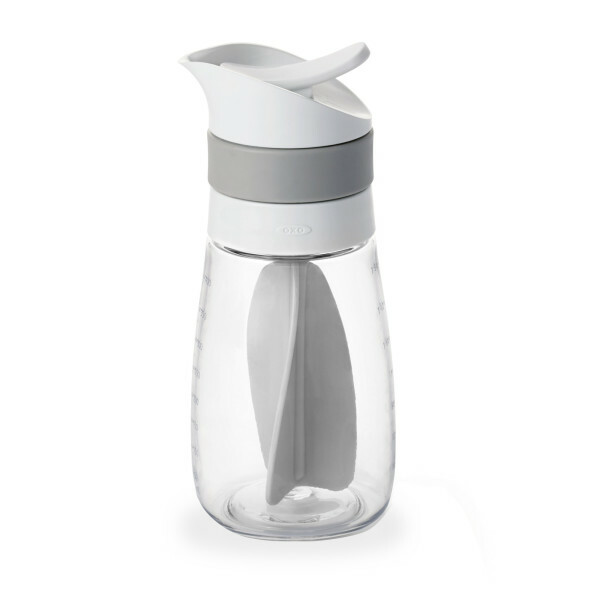 Features a leak-proof, airtight design to keep dressing contained while mixing and fresh during storage. Includes a bi-directional mixing blade for thin or thick dressings, and a non-slip ring to grip and twist, even when hands are wet.